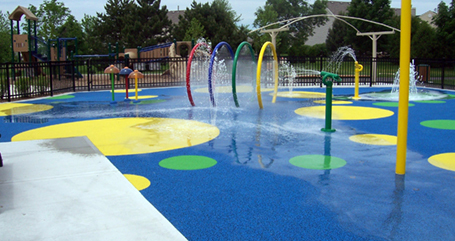 In 2004, the team of Counsilman-Hunsaker and Thompson Dyke & Associates was selected by the Geneva Park District to design a new water sprayground and playground for the 14-acre Moore Park. An adjacent playground was designed to entertain different age groups as well. A portion of the playground accommodates children aged two to five, while another section provides age-appropriate activities for children five to twelve.